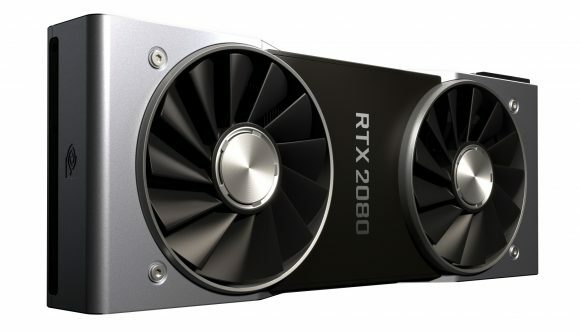 Nvidia has lifted the lid on the relative performance of its new Turing GPU, the RTX 2080, demonstrating exactly what the power of AI hardware can do for gaming by offering sometimes twice the performance of the GTX 1080. Yes. Twice the performance of a GTX 1080, sometimes higher, sometimes lower, but it can manage it. That’s impressive stuff and is partly down to the architectural improvements in the Turing SM, but the extra performance is also thanks to the AI-focused Tensor Cores inside the new TU104 GPU. 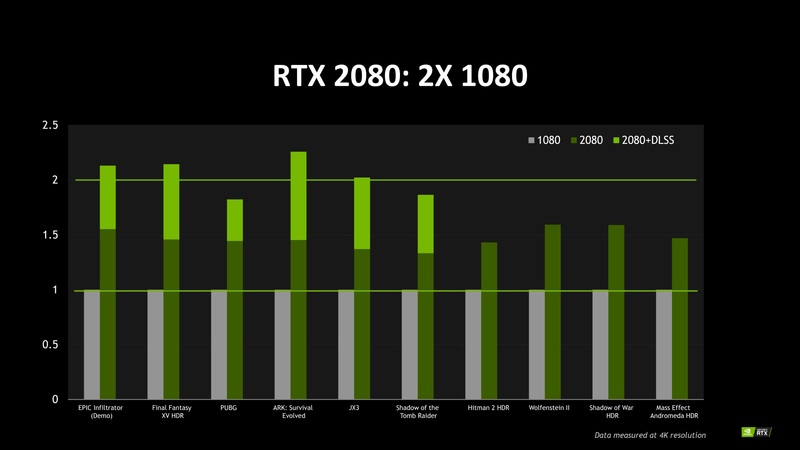 We’ve seen early alpha performance of the RTX 2080 Ti in real-time ray tracing in the likes of Battlefield 5 and Shadow of the Tomb Raider, but this is the first time Nvidia has announced the actual performance differential of the RTX 2080 in standard rasterized rendering in-game. 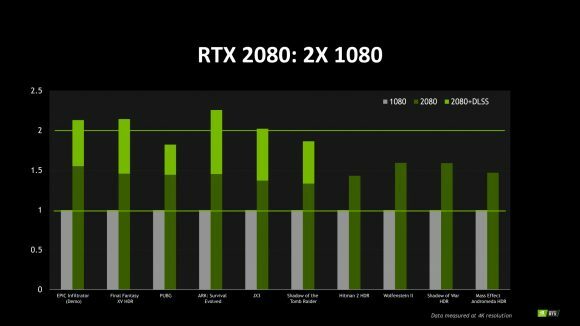 With the architectural changes alone you’re looking at game performance which is around 1.5x the frame rate of the GTX 1080. But when you throw in the power of deep learning and the AI hardware, baked into the Turing GPU with the new Deep Learning Super-Sampling (DLSS) feature, that’s what pushes the performance sometimes over the 2x mark. DLSS is a super-smart feature that can replace temporal anti-aliasing (TAA) in games, offering sharper edges and more detailed scenes – especially in motion – compared with TAA. We’ve seen it in motion and it’sreally impressive. And the best part is that the AI hardware inside the Turing GPU actually means it can also boost performance, sometimes by over 50%. That’s a hell of a double win. 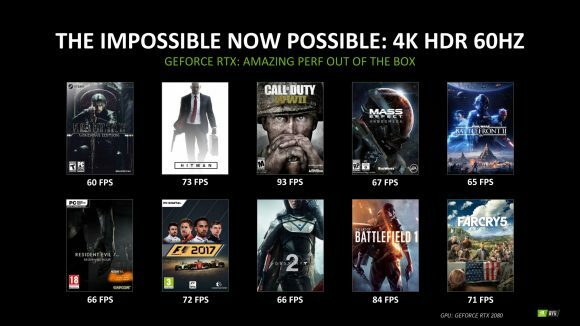 Nvidia has also published solid frame rate figures for the RTX 2080 running at 4K in HDR with the likes of Hitman, Battlefield 1, Destiny 2, and Far Cry 5 all running at over 60fps. For reference, the GTX 1080 runs at 42fps at 4K in Far Cry 5 SDR, but the RTX 2080 will hit 71fps with the HDR cherry sitting on top. So yeah, Turing has got some gaming performance chops outside of the real-time ray tracing debate… where we’ve also been assured that performance in Battlefield 5 especially will be much improved on launch – potentially to where 1440p at 60fps or over might be possible.